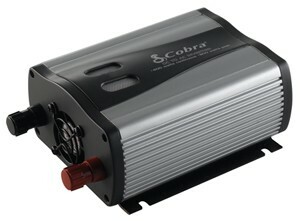 This inverter provides household power on the go! It converts battery power to 120 V AC household power, allowing you to power up office equipment and household appliances from your vehicle. It also has a USB output, ideal for using/charging most small video games, an IPod®, a Blackberry®, mobile phones, and many more USB devices. Cigarette lighter cord and direct-to-battery cables are included. This unit is ideal for laptops, 13″ TVs, video games, CD players, DVD players, cellular phone chargers, and much more!